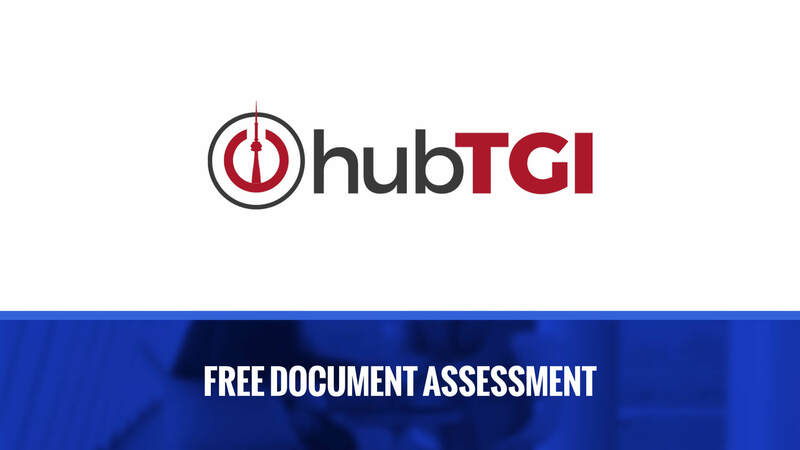 How Document Management Can Benefit Your Organization – Hub Technology Group Inc. If you glance around your office, chances are you’ll see paper on almost every flat surface. While it’s hard to imagine a world without it, many businesses are making the move away from hardcopy documents and opting to convert much of their information into digital files. Document management software and business process automation are designed to relieve businesses of all sizes from the burdens associated with managing, sharing and storing client and company information. Real-time notifications. With hardcopy documents, ongoing resources must be dedicated to ensure that deadlines, requirements, approvals and required actions are met, and on time. With a document management system in place, all actions are monitored for you, and notifications are sent to the appropriate parties as needed. Date management. Never miss another crucial due date thanks to integrated date tracking capabilities which help eliminate the need for spreadsheets, or analysis of paper documents. Document accessibility. Once hardcopy documents have been scanned and stored securely in the cloud, authorized users may access the information around the clock, from anywhere they have an Internet connection. In addition to enhancing collaborative efforts, digital files are available in the event the original copies are lost, stolen, or destroyed as a result of a catastrophic event. Accountability. Each document is tracked throughout its lifespan, and every action is recorded. This increases transparency and accountability, while enhancing security. Stress-free auditing. Easy access to information and document tracking simplifies the auditing process and reduces the length of time to completion. Document management software and business process automation have revolutionized the way that organizations access, store, and manage their confidential and company data. With enhanced security features, real time alerts, and 24/7 access to files, it’s easy to see why so many organizations are embracing this technology. Contact us today to learn more!